Since we launched our new templates and content building tools earlier this year, we’ve been amazed at how our users have reinvented their websites by using them. We love seeing what you have all created and we want to be able to share some of our favourites with you! 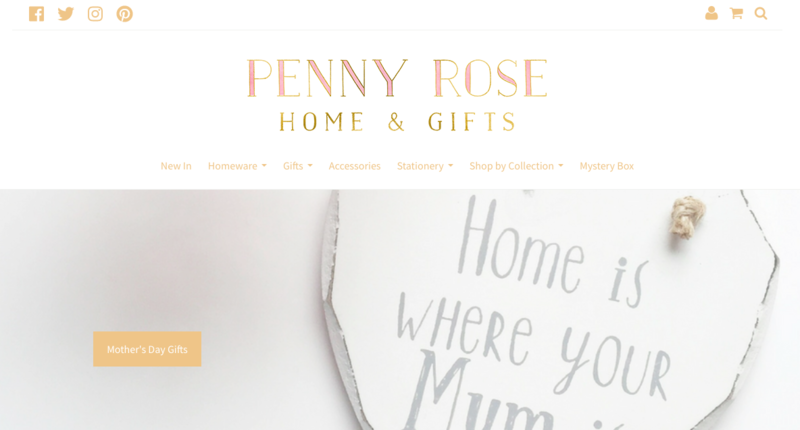 Rose from Penny Rose Home & Gifts was kind enough to chat with us about her business and how she used our new content building tools to give their website an exciting new look. What's the story behind your business and how did you start it? 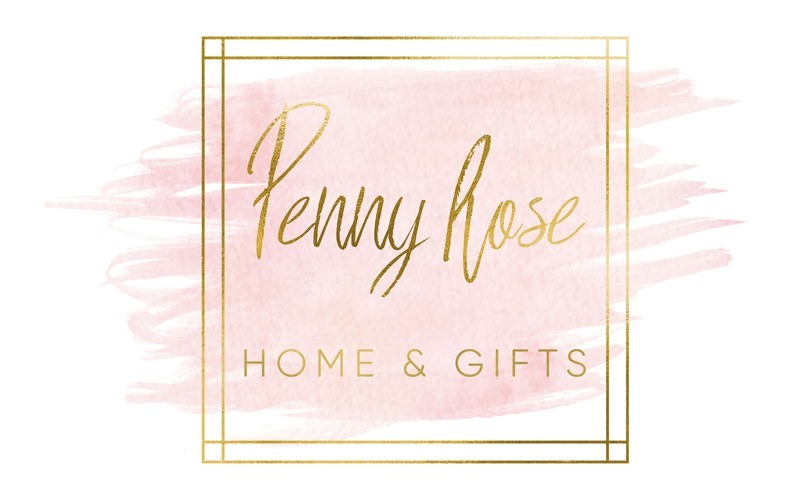 Penny Rose Home & Gifts began in the summer of 2015. 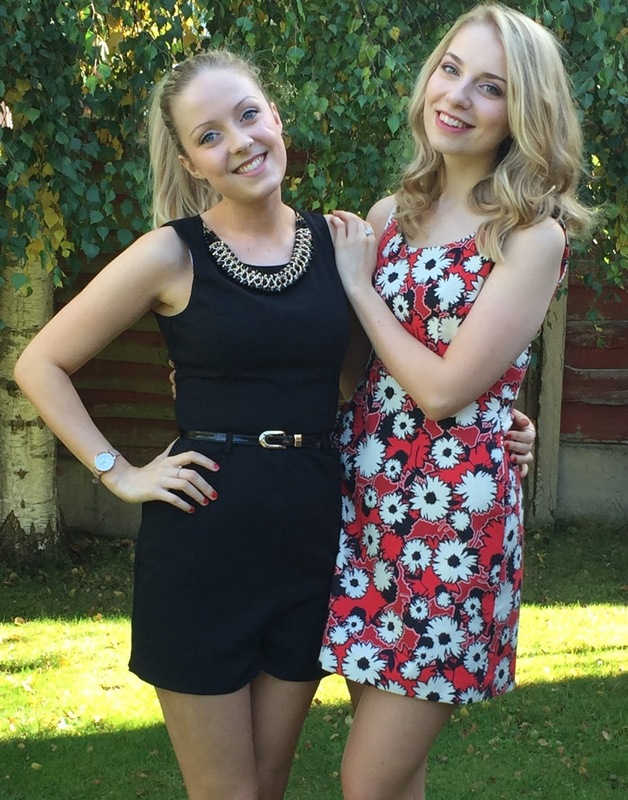 It was just an idea between two sisters to begin with, but an idea that excited us so much we couldn't sleep. From a very early age, we have always dreamed of owning a business and we both have a huge passion for home interiors and styling. Our mother owned her own interiors business when we were youngsters and it's something we grew up around, so you could say it's in our genes. At Penny Rose Home & Gifts, we look to find the perfect products for our customers by trying to source local and small business creatives. We do this to bring our customers something which they may not find on the high street. We know how hard it was to find affordable yet inspiring gifts, so many of our products are under £10 - but that doesn't take away from the quality and love that is spent designing, creating, packing and sending those items. Why did you decide to sell online? As we were just starting up we didn't have the capital to open a bricks and mortar store so we knew a website would be the first step. E-commerce is becoming a huge part of the retail industry and with the help of social media, it's a great platform to sell. After a lot of research, and with a relatively good knowledge of business and IT, we started working on our website. Your website and branding is beautiful, what was the strategy behind building your site? Our branding has changed over the last two years, when we were first starting out, we were on a tight budget so our logo and marketing materials were slapdash to say the least. But one year into business, we decided to re-brand. We thought the blush pink and gold colour scheme brought a sense of luxury to the website but also keeping it on trend and inline with the products we sell. Create's new design suite makes its super easy to control the colour scheme of our website and ensure everything is matching throughout. You recently gave your website a makeover using our new content tools - what was the purpose of the makeover? At the end of 2017, we had already discussed refreshing our website in the new year and giving it a new lease of life. When the new update from Create came out with the new content tools it was perfect timing. Keeping our website up to date is hugely important, so we hoped the purpose of creating a new look would potentially bring new customers as the homepage if the first thing our visitors see, it needs to be interesting and eye-catching. The new content tools have brought a modern twist to our website especially the hero block we added to the top of our homepage, giving us the chance to showcase our top promotion. How do you feel the makeover has affected your website? From the early stages of our new makeover, we have had fabulous feedback, especially from our loyal customers on Instagram, many saying they love the new look and it's so easy to navigate. Retrospectively, the number of new visits and amount of sales have both increased within the last month. What advice would you give to businesses starting a website from scratch or updating their current one? Slow down and take your time. Don’t rush. We wanted to do everything super quick and have it all set up and going straight away. But it wasn’t all smooth sailing, we hit road bumps, it got us down from time to time and we did want to give up but we didn’t let it stop us from striving for our dream. We found researching and reading relevant material was the key to getting the best out of the Create design suite. The help guides were super useful and have so much specific information that you can use to develop a really successful website. 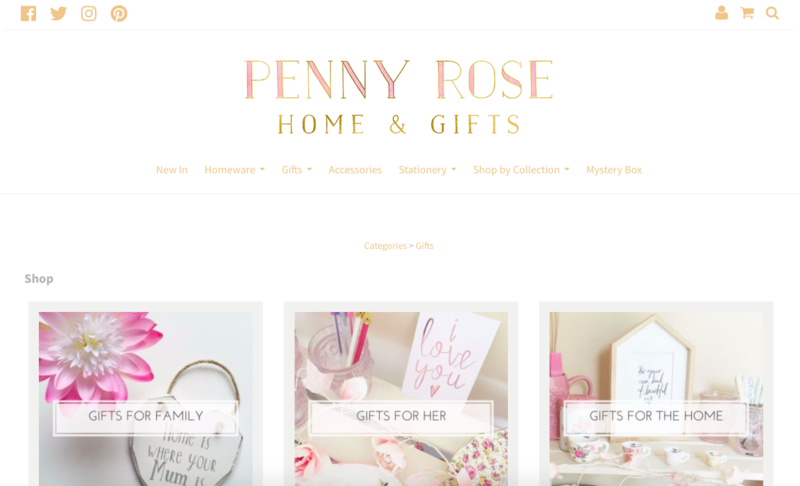 Thank you to Penny Rose Home & Gifts for agreeing to take part in this showcase - if you’ve redesigned your website using our new content building tools, please do let us know or showcase your own website in the comments below! If you’re looking to refresh and renew your website then be sure to check out our templates and our new content building tools and we can’t wait to see what you do. If you have any questions about the templates or content building tools, you can always get in touch with your Account Manager who will be happy to help.